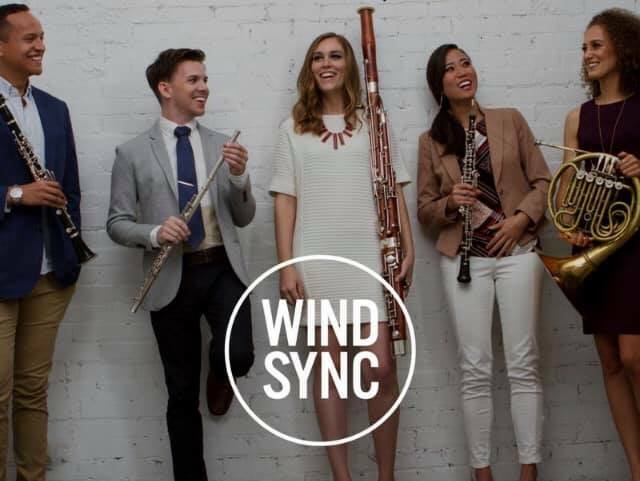 Wind Down in Downtown Montgomery with Windsync, a dynamic wind quintet, dazzling in concert. Windsync is an exciting group of talented musicians visiting Montgomery for one week only! Thanks to grants from CACF, ASCA, JLM and others, we are able to bring this ensemble to our area schools and directly to you! Join us downtown for a fun, vibrant, concert in the unique Warehouse space of the Alley. Friends and family will complete the fun. Bring a group! You don't want to miss the music. Flute, Oboe, Clarinet, Bassoon and French Horn on one stage makes for an incredible sound. Tickets are $10 for students, $15 military and $25 for general admission. Call (334) 603-2533 for more information.